In every joke there is a share of jokes. But, as neither say, for the love of a Russian sauna pay all the same accounts. And nowhere is not spryacheshsya from this harsh reality. But if we pay, how many? A possible cheap? The furnace "Compact" gives a positive answer to this question. But why? Yes because our findirektor because of its scattering indicated in the price sheet wrong, unacceptably low price. For this, he was immediately dismissed. In order to cheaper furnace, of course, tried to minimize and remove from it all unnecessary. Only built-tank for hot water designer for malpractice has not yet been removed. He pledged strict reprimand recorded. Well even that the suppliers to manage to, on occasion, buy a batch of steel at low prices last year. ZHalko that small. Cheap steel will end soon. Built remove the tank. A necessarily raise the price. Compact size ovens allow it to accommodate the smallest steam bath. The furnace produces a powerful high-speed heated sauna up to 12 cubic meters of firewood, low-flow rate. Built hinged tank or water tank or two at a time. The possibility of installing additional heat exchanger to heat remote tank. The possibility of installing doors with toplivnika svetoprozrachnym screen. Freedom of choice modification or construction of stainless steel. 2 serially produced basic models: "Compact" and "Compact B", equipped with a small built-tank for hot water. 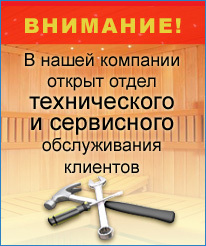 Ovens calculated on the sauna with a volume of 6 to 12 cubic meters. In the furnace area found the optimum ratio heating surfaces, the masses of stones, tanks built tank for hot water, consumer prices and the most widespread volume sauna facilities. Built for hot water tank capacity of 24 liters provides very rapid heating water to a boil. The charge of boiling water easily offset podlivaniem water in a broad, conveniently located neck. Despite its compact size, real property oven has a powerful high-speed, low-sauna heating fuel consumption.